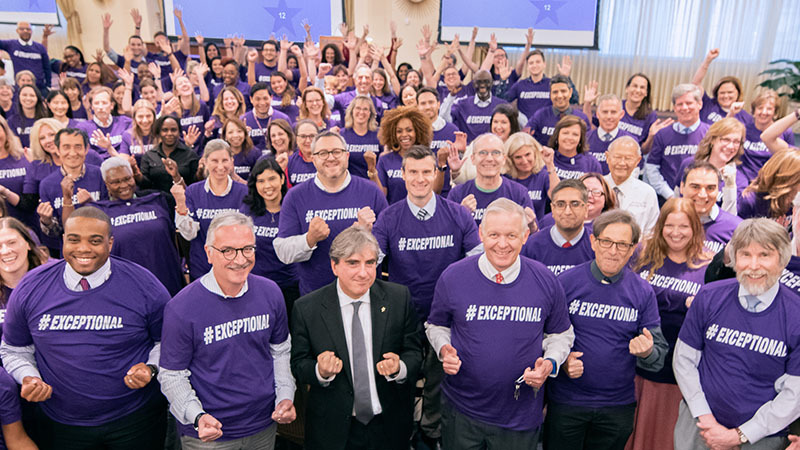 The Robert H. Lurie Comprehensive Cancer Center of Northwestern University received the highest rating possible from the National Cancer Institute (NCI), an overall “exceptional,” on the competitive renewal of its Cancer Center Support Grant (CCSG). The grant award will provide nearly $31.5 million in core funding, a significant increase of 36 percent over the previous award. The CCSG provides essential support for Lurie Cancer Center’s dynamic research programs, as well as infrastructure that includes 14 shared research facilities, resources and technology. In addition to receiving the highest rating in its history for the excellence of its research programs and patient care, Lurie Cancer Center received a near-perfect impact score of 12. Numerical scores are assigned on a scale from 10 to 90, with 10 being a perfect score. This is the fourth renewal of the CCSG for the Lurie Cancer Center. Since the last renewal, Lurie Cancer Center has experienced dynamic growth in funding, publications and faculty, including the recruitment of 93 new faculty members. For patients, an NCI Comprehensive Cancer Center provides innovative, research-based approaches to detecting and treating cancer. Lurie Cancer Center and its affiliated hospitals treat nearly 15,000 new cancer patients each year, providing personalized, state-of-the-art treatment, world-class specialists and access to approximately 300 active clinical trials for nearly every type of cancer, often before they are available anywhere else. “We are now positioned among an elite group of top cancer centers in the country and poised for the next phase of growth. 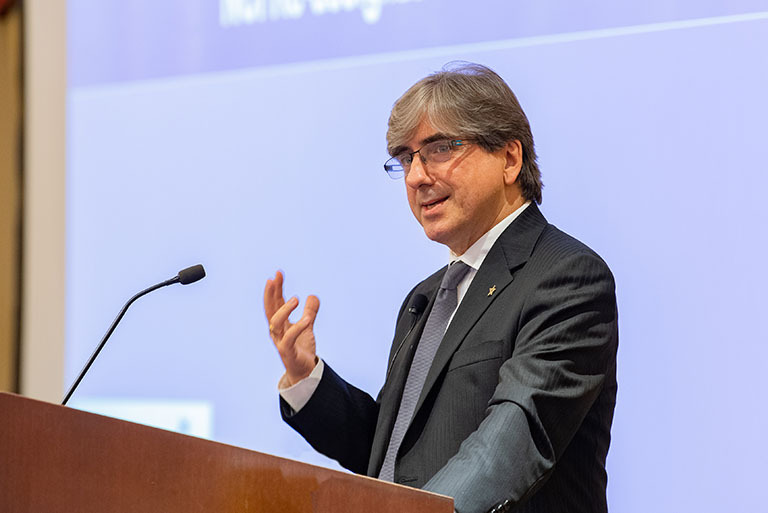 We look forward to expanding our capabilities and intensifying our efforts to defeat cancer as a disease,” said Leonidas C. Platanias, MD, PhD, director of the Lurie Cancer Center. Lurie Cancer Center’s nearly 300 members hold faculty appointments within the Feinberg School of Medicine, McCormick School of Engineering and Applied Sciences, Weinberg College of Arts and Sciences and other academic units at Northwestern University. Together, they bring their combined knowledge in basic, clinical, and translational research directly to patients at Northwestern Memorial Hospital, Ann & Robert H. Lurie Children’s Hospital of Chicago, Shirley Ryan AblityLab, and Jesse Brown VA Medical Center. The five-year renewal of Lurie Cancer Center’s status as one of only 49 NCI-designated Comprehensive Cancer Centers in the U.S. follows a rigorous peer-review process that includes more than a year of preparation, a site visit, and analysis by leading scientists from across the country. To earn Comprehensive Cancer Center designation, Lurie Cancer Center has demonstrated its scientific leadership; depth and breadth of research, commitment to education, and impactful community outreach programs to reduce the burden of cancer. Established in 1974, the cancer center was dedicated as the Robert H. Lurie Cancer Center of Northwestern University in 1991 through an endowment from Ann and Robert H. Lurie. In 1997 the title was modified to Robert H. Lurie Comprehensive Cancer Center of Northwestern University when it was awarded the National Cancer Institute’s highly competitive Comprehensive designation. Northwestern Memorial Hospital, Lurie Cancer Center’s primary teaching affiliate and clinical home, was recognized by U.S. News & World Report in its 2017-18 “Best Hospitals” rankings as one of the top hospitals in the country, and ranked 1st in cancer care in the Chicago Metro Area and Illinois for the sixth consecutive year.